EDRS, Inc. provides Selective & Environmental Demolition, Remediation and Abatement Services of all kinds. EDRS, Inc. has been serving the Environmental Construction Industry and has been licensed, bonded and insured since 2001. EDRS, Inc. provides a broad range of selective demolition as well as environmental remediation solutions serving the construction industry. From commercial, industrial, municipal, and state clients to School Districts, Universities, Property Development, Hotels, Real Estate, Historical Projects, Retail, Hospitals, Churches as well as Industrial, Oil and Gas. Since 2001 EDRS has been performing a wide range of commercial and industrial selective demolition services. 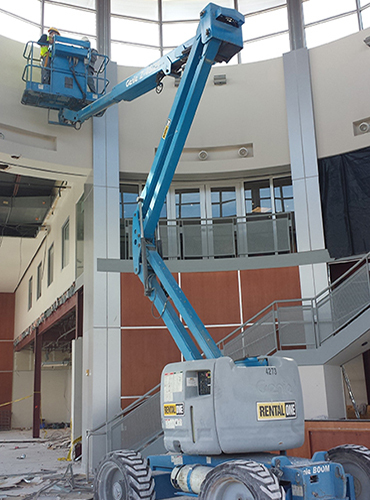 From major commercial renovation to industrial hazardous materials abatement and removal. Selective demolition which meets the certification goals as established by the Architects’ and Engineers for individual Project requirements. Selective demolition can be done on everything from small commercial units to large-scale industrial buildings. Although the demands and fine-tuning of each demolition process are contingent on the structure itself, EDRS, Inc. team approach for selective demolition apply to projects large and small. The process always begins with a survey identifying hazardous materials and quantifying recyclable materials. Mold is part of the natural environment. Molds reproduce by means of tiny spores. Symptoms of mold exposure may include nasal and sinus congestion, runny nose, eye irritation, itchy, red, watery eyes. Respiratory problems, such as wheezing and difficulty breathing, chest tightness, cough, throat irritation, skin irritation like a rash, headaches or sneezing. The first step in assessment is to determine if mold is present by visually examining the premises; visible mold helps determine the level of remediation necessary and take the appropriate action. The best way to control mold growth is to control moisture. Environmental laws have reduced lead exposure in the United States, but it is still a health risk, especially for young children. Lead poisoning occurs when you absorb too much lead by breathing or swallowing a substance with lead in it, such as paint, dust, water, or food. In adults, lead poisoning can damage the brain, nervous system, stomach and kidneys. Can also cause high blood pressure along with other health issues. Lead poisoning is usually caused by months or years of exposure to small amounts of lead at home or work. It can also happen very quickly with exposure to a large amount of lead. Many things can contain or be contaminated with lead: paint, air, water, soil, food, and manufactured goods. The most common source of lead exposure for children is lead-based paint and the dust and soil that are contaminated by it, mainly a problem in older homes and buildings. Adults are most often exposed to lead at work or while doing hobbies that involve lead. Lead can damage almost any organ. Soil Remediation is the removal of pollution or contaminants from the environment. Pollution or contaminants should be removed from any media such as soil, groundwater, sediments or surface water by using the appropriate technique; bioremediation.